This weekend is Retreat Lite with my guild. I love Retreat Lite because it’s not a huge investment ($30 for the weekend). It’s about 15 minutes from my house. And I can choose whether to drive back and forth every day or stay at the hotel it is located at. I love to stay at the hotel but since I’ll be going to Los Angeles this week I decided to save money and drive in. Since my last stash report (sadly it’s been a few weeks) I added 3 yards and used a yard for a net of 2. While in LA last month I bought fabric for binding, perused the sale rack and purchased more yardage on sale. 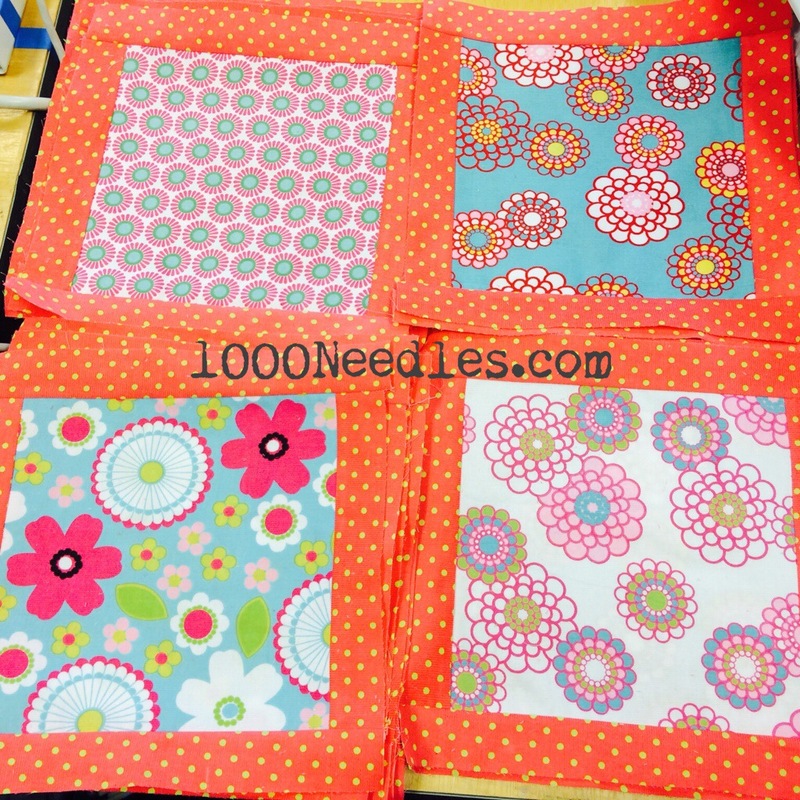 Then I promptly used 1 of those yards on my binding. Hampton Ridge – I got all the borders for the blocks in Month 6 and one of the blocks done. Iris Cameo – The middle part is all quilted and all I have to do now is attach it to the frame and quilt the frame. My Corduroy Quilt – which I’m calling Razzle. I really like Razzle, I’ll post about this quilt on it’s own post but for now, it’s the corduroy quilt and I was able to get 20 blocks done. Today I’ll continue more of the same – more blocks of Hampton Ridge, quilt the Iris Cameo and work on the sashing of Razzle. My goal today is to get the final three blocks for Hampton Ridge for Month 6 done and finish up the Iris Cameo.